Are you getting excited!!! 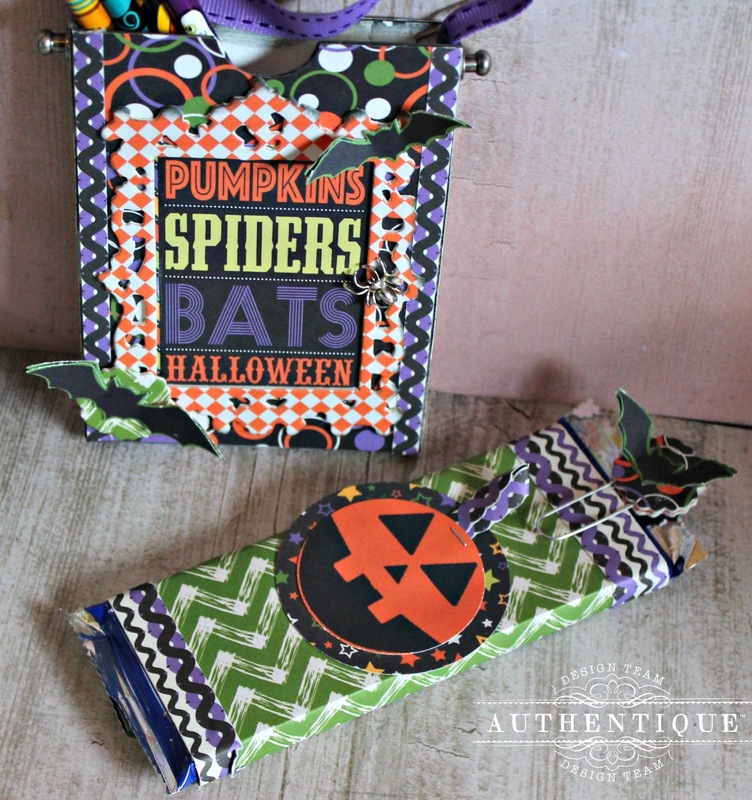 Halloween is right around the corner and it is time to start thinking about our special trick or treaters. I look forward to making a few special treat boxes for the neighborhood kids and of course the grandkids to receive when they stop by. Trim small strips of the Tricky pattern paper to the front of covered box. Die cut Ornate Frame out of Tricky pattern paper and chipboard; adhere journal piece behind the frame and adhere to top of prepared box. Die cut small flowers from pattern paper; adhere to top of frame. 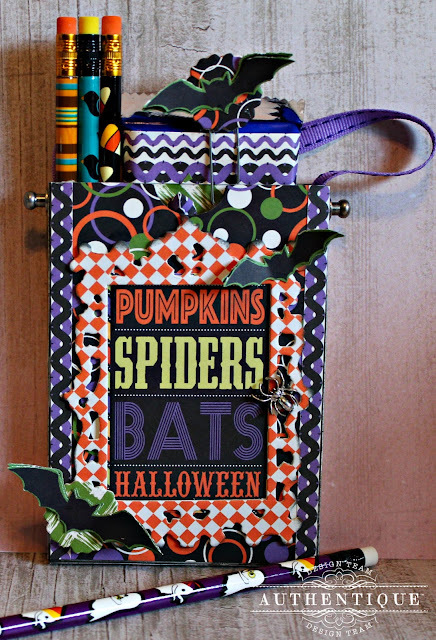 Fussy cut bats from journal pieces; add to front of prepared box. Add metal spider to front of frame. Add small metal knob to box. Cover candy bar with matching paper using the Tricky pattern paper. 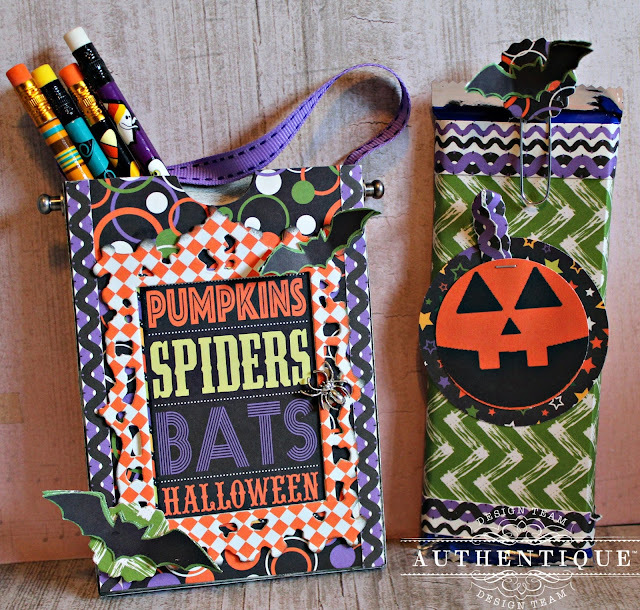 Punch pumpkin from journal paper along a larger circle from matching pattern paper. Fussy cut borders from pattern paper to form stem. Create a Bat Planner Clip using two die cut flowers and fussy cut bats. 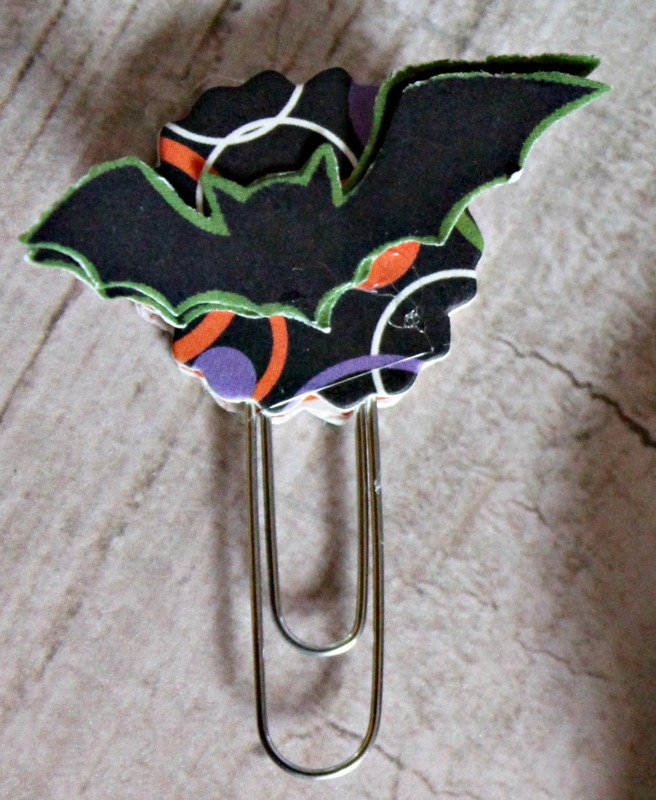 Add bat planner clip to top of wrapped candy bar. Glue ribbon handle to prepared box. Fill prepared box with pencils and wrapped candy bar. what die was used and is there an instruction sheet pdf?